Find me on ResearchGate, Google Scholar, DBLP, ORCID and LinkedIn. K. Hammoudi, M. Abu Taha, H. Benhabiles, M. Melkemi, F. Windal, S. El Assad and A. Queudet. Image-based Ciphering of Video Streams and Object Recognition for Urban and Vehicular Surveillance Services. H. Benhabiles, K. Hammoudi, F. Windal, M. Melkemi, A. Cabani. A Transfer Learning exploited for Indexing Protein Structures from 3D Point Clouds. In MICCAI workshop (SaMBa 2018), Granada, Spain, LNCS, Springer, 2018. Personalized Shares in Visual Cryptography. In Journal of Imaging, 4(11):126, 2018. K. Hammoudi, F. Dornaika, B. Soheilian, B. Vallet, J. McDonald, N. Paparoditis. A Synergistic Approach for Recovering Occlusion-free Textured 3D Maps of Urban Facades from Heterogeneous Cartographic Data. In International Journal of Advanced Robotic Systems, Volume 10, 10p., 2013. Recovering occlusion-free textured 3D maps of urban facades by a synergistic use of terrestrial images, 3D point clouds and Area-based information. In Procedia Engineering, Elsevier, International Symposium on Robotics and Intelligent Sensors (IRIS), Volume 41, Issue C, pp. 971-980, September 2012. K. Hammoudi, H. Benhabiles, M. Melkemi, S. R. Kadapanatham. Visual Communication with Successive Reading of Public and Secret Information by Generating Dual-layer Images. F. Langefeld, A. Axenopoulos, H. Benhabiles, P. Daras, A. Giachetti, X. Han, K. Hammoudi, D. Kihara, T. M. Lai, M. Melkemi, S. K. Mylonas, G. Terashi, Y. Wang, F. Windal, M. Montes. K. Hammoudi, A. Cabani, M. Melkemi, H. Benhabiles, F. Windal. Towards a Model of Car Parking Assistance System using Camera Networks: Slot Analysis and Communication Management. In IEEE Smart City 2018, Exeter, UK, June 2018. K. Hammoudi, M. Melkemi, F. Dornaika, H. Benhabiles, F. Windal, O. Taoufik. A Comparative Study of 2 Resolution-level LBP Descriptors and Compact Versions for Visual Analysis. In FutureTech 2018, University of Salerno, Italy. Advanced Multimedia and Ubiquitous Engineering, LNEE, Springer, 2018. K. Hammoudi, M. Melkemi, F. Dornaika., T. D. A. Phan, O. Taoufik. Computing Multi-purpose Image-based Descriptors for Object Detection: Powerfulness of LBP and Its Variants. In International Congress on ICT (ICICT 2018), Brunel University London, UK. Advances in Intelligent Systems and Computing (AISC), Springer, 2018. K. Hammoudi, H. Benhabiles, M. Melkemi, F. Dornaika. 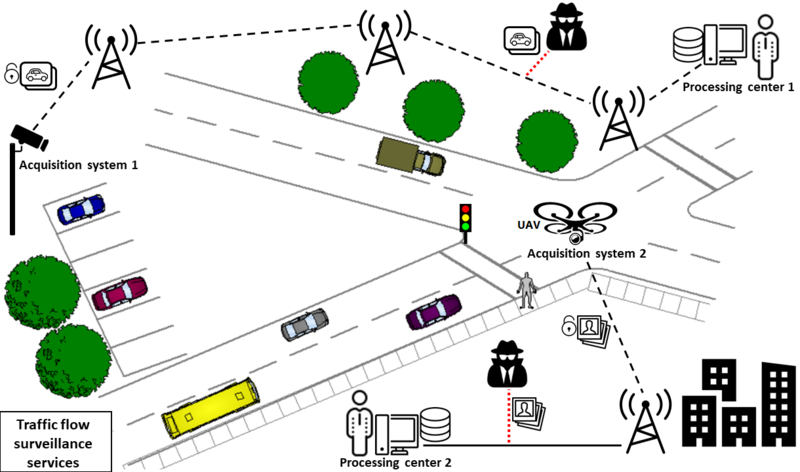 Detection Systems for Improving the Citizen Security and Comfort from Urban and Vehicular Surveillance Technologies: An Overview. In ICT Infrastructures and Services for Smart Cities (IISSC), Italy. LNICST, vol. 189, Springer, 2018. A. Moujahid, F. Dornaika, Y. Ruichek, K. Hammoudi. Towards semantic segmentation of orthophoto images using graph-based community identification. K. Hammoudi, M. Melkemi, H. Benhabiles, F. Dornaika, S. Hamrioui, J. Rodrigues. Analyzing and Managing the Occupancy of Car Parking by exploiting Vision-based Urban Surveillance Networks. In IEEE Mobile and Wireless Networking (MoWNet), Avignon, France, May 2017. K. Hammoudi, H. Benhabiles, A. Jandial, F. Dornaika, J. Mouzna. Developing A Vision-based Adaptive Parking Space Management System. Self-Driven and Direct Spatio-temporal Mechanisms for the Vision-based Parking Slot Surveillance. In IEEE Science and Information Conference (SAI Computing), London, UK, July 2016. K. Hammoudi, H. Benhabiles, M. Kasraoui, N. Ajam, F. Dornaika, K. Radhakrishnan, K. Bandi, Q. Cai, S., Liu. Developing vision-based and cooperative vehicular embedded systems for enhancing road monitoring services. K. Hammoudi, N. Ajam, M. Kasraoui, F. Dornaika, K. Radhakrishnan, K. Bandi, Q. Cai, S., Liu. Design, Implementation and Simulation of an Experimental Processing Architecture for Enhancing Real-time Video Services by Combining VANET, Cloud Computing System and Onboard Navigation System. In IEEE Pervasive and Embedded Computing and Communication Systems (PECCS), pp. 174-179, Angers, France, February 2015. Design, Implementation and Simulation of an Experimental Multi-camera Imaging System for Terrestrial and Multi-purpose Mobile Mapping Platforms: A Study Case. 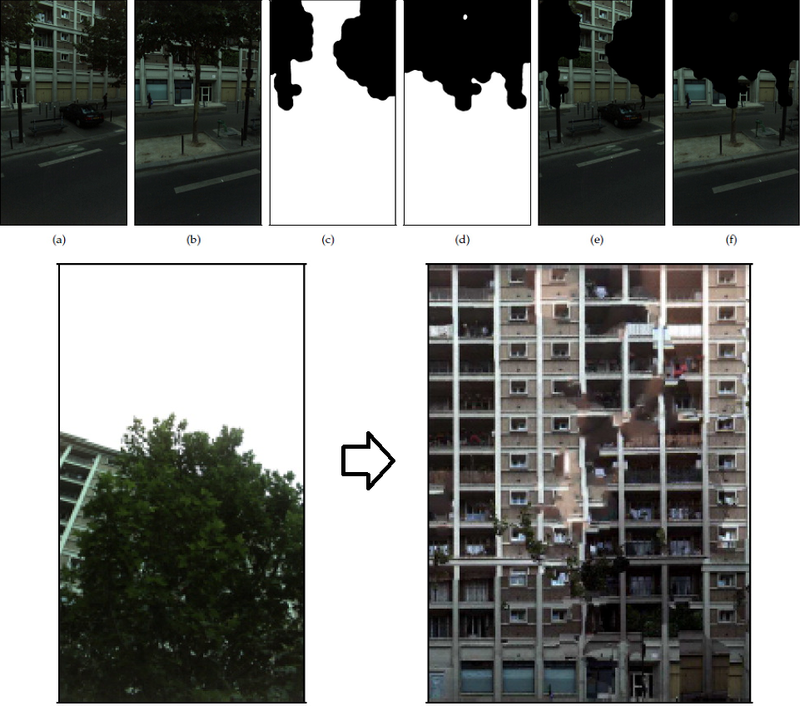 Recovering quasi-real occlusion-free textures for facade models by exploiting fusion of image and Laser street data and image inpainting. In IEEE International Workshop on Image Analysis for Multimedia Interactive Services (WIAMIS), Dublin, Ireland, May 2012. K. Hammoudi, F. Dornaika, B. Soheilian, B. Vallet, N. Paparoditis. Generating Occlusion-free Textures for Virtual 3D Model of Urban Facades by Fusing Image and Laser Street Data. In IEEE Virtual Reality (VR), Costa Mesa, California, USA, March 2012. A Featureless Approach to 3D Polyhedral Building Modeling from Aerial Images. K. Hammoudi, F. Dornaika, N. Paparoditis. Generating Virtual 3D Model of Urban Street Facades by Fusing Terrestrial Multi-source Data. In IEEE Intelligent Environments (IE), Nottingham, UK, July 2011. Estimating 3D Polyhedral Building Models by Registering Aerial Images. In Advanced Concepts for Intelligent Vision Systems (ACIVS), LNCS, Springer, pp. 239-248, December 2010. K. Hammoudi, F. Dornaika, B. Soheilian, N. Paparoditis. Extracting Wire-frame Models of Street Facades from 3D Point Clouds and the Corresponding Cadastral Map. In Photogrammetric Computer Vision (PCV), Vol. 38, Part 3A, pp. 91-96, Paris, France, September 2010. Extracting Outlined Planar Clusters of Street Facades from 3D Point Clouds. In IEEE Computer and Robot Vision (CRV), Ottawa, Canada, June 2010. Extracting Building Footprints from 3D Point Clouds using a Terrestrial Laser Scanning at Street Level. In City Models, Roads and Traffic (CMRT),Vol. 38, Part 3/W4, pp. 65-70, Paris, France, September 2009. Extracting 3D Polyhedral Building Models from Aerial Images using a Featureless and Direct Approach. In Machine Vision Applications (MVA), IAPR, Tokyo, Japan, May 2009. Analyse et gestion de l’occupation de places de stationnement par vision artificielle. In EGC Workshop, Gestion et Analyse des données Spatiales et Temporelles (GAST), Grenoble, France, January 2017. In Séminaire Informatique et Sciences du Numérique (ISN), Talk, Académie de Strasbourg, Mulhouse, December 2016. Design, Implementation and Simulation of a Cloud Computing System for Enhancing Real-time Video Services by using VANET and Onboard Navigation Systems. In CORESA, Colloque Compression et Représentation des Signaux Audiovisuels, Reims Image Conference (RI), Tome 3, pp. 87-92, France, Novembre 2014. Wide-scale Acquisition of Terrestrial Images by using the StratAG Mobile Mapping Vehicle : A Quick Reference Guide. In Practical Documentation of the Department of Computer Science from the National University of Ireland Maynooth, Maynooth, Ireland, March 2013. Enhancing urban GIS databases through a multi-view MMS acquisition system for street feature extraction. In Annual GIS Ireland Conference, Irish Organisation for Geographic Information (IRLOGI), Dublin, Ireland, October 2012. Design of an outdoor multi-view acquisition system for diversifying activities in mobile mapping. In IRLOGI/NCG Joint Event on GI Science: The Next 10 Years, National Center for Geocomputation, Maynooth, Ireland, July 2012. Contributions to the 3D city modeling: 3D polyhedral building model reconstruction from aerial images and 3D facade modeling from terrestrial 3D point cloud and images. Thesis synopsis. In Journal of Aerospace Technology and Management, Volume 4, Number 2, 2012. Towards the Next Generation of Full and Accurate 3D Building Models by Fusing Aerial and Terrestrial Imagery. Thesis synopsis. In International Journal of Computer Science Issues, Volume 9, Issue 2, 2012. In Ph.D. thesis in signal and image processing from Universite Paris-Est, 2011. 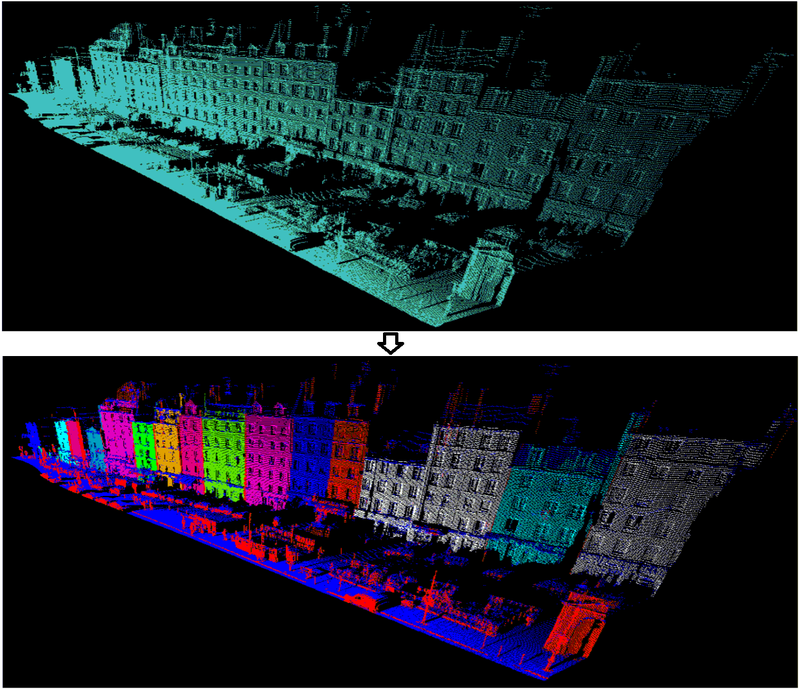 A Pipeline for Modeling Urban Street Facades from Terrestrial Laser and Image Data. In ICVSS Computer Vision Summer School, Sicilia, Italy, July 2011. Extraction de Facades a partir de Nuages Lasers Terrestres. In CRV Tutorial Day, Computer and Robot Vision, Tutorial 5, University of Ottawa, Canada, June 2010. Generating Raw Polygons of Street Facades from a 2D Urban Map and Terrestrial Laser Range Data. In Australasian Remote Sensing and Photogrammetry Conference (ARSPC), 6p., Alice Springs, Australia, September 2010. Building Modeling using Aerial and Terrestrial Data. In ICVSS Computer Vision Summer School, Sicilia, Italy, July 2010. Extracting Facade Outlines from 3D Point Clouds using Terrestrial Laser Scanning at Street Level. In Conférence de l'Ecole Doctorale MSTIC de l'Université Paris-Est , Marne-la-Vallée, France, June 2010. Extracting 3D Polyhedral Building Models from Aerial Images: A Featureless and Direct Approach. In Workshop on Models and Images for Porous Media (MIPoM), Universite Paris Descartes, France, January 2009. Introduction a la modelisation 3D de batiments a partir d images aeriennes. In Doctoriales de l'Universite Paris-Est, Chateau de la Brosse-Montceaux, Seine-et-Marne, France, Decembre 2008. Reconstruction 3D de batiments a partir d'images aeriennes: une approche directe basee image. In Memoire de Master de l'Universite Paris Descartes, Archive du Centre de Documentation de l'Institut Geographique National, Paris, France, Juin 2008. Research projects in Computer Vision at NUIM. Research Days at IGN: between images and vectors. Journées de la recherche IGN : entre images et vecteurs. Member of this project from 2013 to 2015 (Interreg IV A / ERDF - European Regional Development Fund). Member of this project from 2011 to 2013 (SFI - Science Foundation of Ireland). Achievements: Development of 3D reconstruction approaches and stereo-vision systems for a mobile mapping vehicle. Member of this project from 2008 to 2011. Achievements: Feasibility study for the 2D facade delineation in a Google-like Street Viewer from 3D point clouds. Reception and presentation of collaboration possibilities in pedagogy and research to an Algerian delegation composed of the vice-rector and the dean of the Saad Dahlab University of Blida (USDB1 Algeria and ESIGELEC France, March 2016). Guest Editor for the International Journal of Sensors, Wireless Communications and Control for a Special Issue entitled "The Application of Computer Vision Technologies in Urban and Vehicular Environments" (IJSWCC, 2015-2016). IEEE AVSS workshop, "International Workshop on Traffic and Street Surveillance for Safety and Security (T4S) organized in conjunction with the 14th IEEE Advanced Vision and Signal based Surveillance (AVSS)", Lecce, Italy, 29 August 2017. 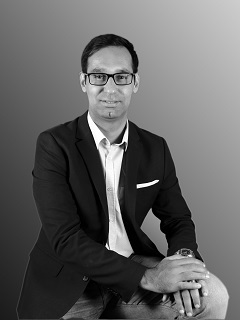 2016 - present: Associate Professor of Computer Science, University of High-Alsace, Mulhouse, France. 2013 - 2016: Associate Professor of Computer Science, École Supérieure d'Ingénieurs en Génie Électrique (ESIGELEC School of Engineering), Rouen, France. 2010: Course support in Computer Vision (occasional), French National School in Geomatic Sciences (IGN/ENSG), Paris, France. 2008 - 2011: Adjunct Professor of Computer Science, Universite Paris Descartes (UP5). 2003 - 2005: Instructor in Computer Science, Universite de Picardie Jules Verne (UPJV), Amiens, France. Karim Hammoudi holds a permanent position as Associate Professor at the Department of Computer Science, Université de Haute-Alsace, Mulhouse. His primary research interest is Geospatial Information Systems, Computer Visualization, Artificial Intelligence, Software Modeling, Database Management Systems, IT Project Management. His research has been funded under various research programmes from French National Research Agency (ANR), Science Foundation Ireland (SFI) and European Regional Development Fund (ERDF). In the past he has been Instructor at the "Université de Picardie Jules Verne" (UPJV, France), Researcher at the MATIS laboratory of the "Institut Géographique National" (IGN, France), Adjunct Professor at the "Université Paris Descartes" (UP5), Associate Researcher at the "Institut National de l'Information Géographique et Forestière" (IGN, France), Researcher during two years at the CVIL laboratory of the National University of Ireland Maynooth (NUIM, Dublin). Also, he held a tenured position as Associate Professor during three years at the Department of ICT of the "École Supérieure d'Ingénieurs consulaire en Génie Électrique" (ESIGELEC, France). During this period, his research was carried out at the Embedded Electronic Systems Research Institute (IRSEEM), host laboratory of the "Université de Rouen". Additionnally, he was the Head of the International Master in Information Systems of ESIGELEC during the academic year 2015-2016. Post-doc. at National University of Ireland Maynooth (NUIM), 2011-2013. Ph.D. with European academic mention "Doctor Europeus" (Signal and Image Processing): Universite Paris-Est and French National Mapping Agency (IGN), 2011. M.Sc. (Mathematics and Computer Science speciality Image Processing): Universite Paris Descartes (UP5), 2008. B.Sc. (Mathematics): Universite de Picardie Jules Verne (UPJV), 2007. B.Sc. (Computer Science): Universite de Picardie Jules Verne (UPJV), France, 2006.